Adidas Boxing RESPONSE Head Guard - Further protects the head form the impact of the punch, and offers protection for the cheek area too. Easy fit and adjust, this versatile and breathable head guard is a must to ensure safe fighting. 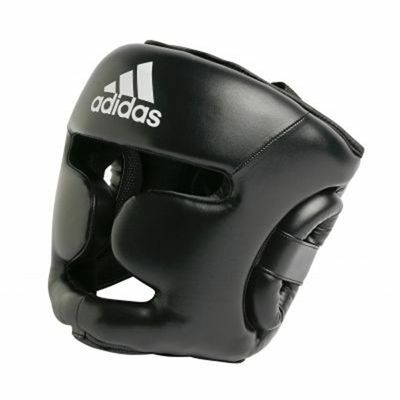 for submitting product review about Adidas Boxing Reponse Head Guard.